Fifth Los Cabos international Film Festival. The Los Cabos International Film Festival during its fifth edition met with expectations due in part by the 45 carefully chosen feature films presented over the 4 day event. The opening gala scene was a star studded red carpet event filled with foreign and national actors, directors, agents and film critics from Hollywood and elsewhere. The Latin America premier of Pablo Larrain’s film Jackie, based on the events that occurred moments after the tragic JFK assassination, opened this year’s screenings. On the other hand and closing ceremony and awards screened the Mexican Premier of Captain Fantastic written and directed by Matt Ross. During the next three days an array of films chosen for their quality and outstanding performance at film festivals from around the world. This year a series of green films were shown in collaboration with the Televisa Foundation. Films such as Voyager of Time which was unhurriedly produced over a four year period; Safari which view’s todays much too popular hunting tours in Africa; and Rats a pseudo horror documentary on the whereabouts worldwide of these undesirable rodents. Also The Islands and The Whales a controversial film that discusses the consumption of whale meat by certain natives of remote Islands who are forced to change their diet due to high mercury levels found in such meat. Natalia Lafourcade a recognized Mexican musician received the MTV Chiu-ku award, played her music and presented a documentary based on the creative work behind the making of her latest album Hasta la Raiz. This year the Fifth International Los Cabos Film Festival celebrated and awarded trophies for their outstanding contribution to film to director Oliver Stone, who presented his most recent film Snowden; Director of photography Rodrigo Prieto one of Mexico’s outstanding exports to the film industry, and to Italian born actress Monica Bellucci who’s beauty and talent have field the silver screen with great thespian ability and spender. Several films produced in Mexico, United States and Canada also competed for cash prizes and awards such as the Gabriel Figueroa Award, Best Film and the Audience Choice Award. Winners were all recognized during the closing events of festival. 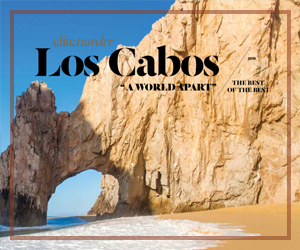 All in all the Los Cabos International Film Festival is maintaining itself as one of Mexico’s premier quality film gatherings and continues to position itself as one of the world’s finer film celebrations. Created on 19 December 2016 .